Bringing the hospitality and specialty cuisine of Mexican food to Charlotte. Located in SouthPark. Catering services available! 360 Home Magazine is Charlotte's #1 Rated Home Improvement Magazine, direct mailed to over 127,000 homeowners, twelve (12) times a year. A Dependable Home Repair & Construction Service, Inc.
A Dependable Home Repair & Construction Services, Inc. offers bathroom & kitchen remodels, room additions, exterior remodeling and outdoor living space. A Safe Child of Charlotte carries and installs a Complete and Comprehensive line of Child Safety Solutions from Childproofing products to Mesh Pool Fence. Located in Uptown Charlotte, we are the region's leading professional theatre company dedicated to programming exclusively for mature audiences. Ageless Remedies in South Park is a medical skincare concept that combines art and science to achieve aesthetic enhancement. Located mere blocks from Uptown Charlotte and near the NoDa Arts District, Alpha Mill has been transformed from a historic cotton mill to an upscale apartment community. When it comes to swimming pools, spas and backyard dreams, Blue Haven Pools in Charlotte is your local swimming pool builder of choice. With over 10 years experience, BNT Consulting in Charlotte offers web design services, SEO, consulting and much more. Boulevard Bazaar provides a large selection of furniture and fabrics. We're a market place filled with one-of-a-kind high end furnishings below wholesale prices. A 501(c)3 all-volunteer nonprofit organization, celebrating, inspiring & encouraging homeless children, offering meaningful volunteer opportunities for both adults & youth. Welcome to Brothers Auto Tech in Fort Mill. Brothers Auto Tech provides quality repairs at great prices and delivering outstanding service is our highest priority. The Cajun Queen Restaurant is centrally located in Charlotte, come and enjoy the friendly, laid-back atmosphere of 'Nawlins without having to leave your back yard. Capstone Construction Services designs, build and maintains all of your home improvement, renovation and remodeling projects. Capulet Cleaning Service serves both commercial and residential clients in the Mecklenburg, Cabarrus, Lake Norman and Ballantyne areas. Non-profit 501(c)(3) committed to helping women with breast cancer in all stages of survival. Social & educational outlet for women united in a sisterhood of survival & hope. Carolina Outdoor Concepts of Charlotte will create your dream Outdoor Kitchen and/or Outdoor Living Area. We also build outdoor Fireplaces and Firepits! Serving the greater Charlotte area, Carolina SGO offers the finest selection of both framed and frameless Tub & Shower glass door enclosures, mirrors and storage systems. Catalyst Uptown Apartments is a modern blend of concrete and glass delivering dramatic style to the Charlotte skyline. As featured on Extreme Makeover Home Edition, Charlotte Doors and Closets makes replacing your doors and closets affordable and easy. A Safe Pool installs the highest quality of mesh pool safety fencing and also offers pool safety nets, pool safety covers, self-closing, self-latching pool gates with key, pool gate alarms and more. The ideal setting for productive meetings and a relaxing stay. Charlotte Motor Speedway is the only race vacation destination where fans can immerse themselves in the heart of NASCAR country. We do everything from managing your office network to teaching you more geek tricks than your kids know, to custom designing your home theater. All at friendly pricing. At Closets by Design, we design, build and install custom closets, garage cabinets, home offices, laundries, pantries, wardrobe mirror doors and much more. For over three decades Coogan's Landscape Design has created beautiful outdoor living areas for thousands of homeowners in the Charlotte area. We offer the Charlotte metro & surrounding areas, top quality residential heating, ventilation, air conditioning & indoor air quality products. As an Allstate Agent in Indian Land, SC - I personally will help your family protect the things that are important - your family, home, car, boat, and more. Cosmic Cookie Bakery has unique and delicious pastries, cakes, cupcakes, candy, and coffee. We're located on Hankins Rd in Charlotte and offer gift baskets & cookie bouquets. Cruzin Reubenz is a NY style deli in Indian Land, SC. We offer e a diverse menu for breakfast, lunch & dinner and a wide variety of catering options. At Curtains & Company features custom draperies, valances, custom made window shades, shutters, roman shades, bedding, upholstered furniture, home accessories & more. Custom Wraps, Graphics, Decals, Signs, Banners and More! Stanly County's First Winery - From The Vine To Our Award Winning Wines! 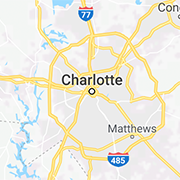 Spend a day with us, less than an hour from Charlotte. Designing Gardens is located in Charlotte and offers Landscape design, installation and maintenance, as well as, hardscape design and installation. We invite you to diviniti salon to enjoy the ultimate hair and nail experience in a posh salon without a posh expense. Your Center City Charlotte YMCAs offer an incomparable fitness experience, offering the best in health and fitness. At Dry Otter Waterproofing we service homeowners all over the Charlotte, NC area. With twenty years of experience, we offer solutions that meet our customer's needs. The Dry Sink is a home furnishings, home decor & antique shop that carries decorative items from vintage to unique & is located in The Shops at Oak Street Mill in Cornelius. A luxury apartment community convenient to Uptown Charlotte, Plaza Midwood and metro Charlotte. For over 30 years, Fireplace and Granite has been fabricating andd installing granite countertopns, and all types of fireplaces throughout the Charlotte area. Five Star Limousine is headquartered in Charlotte, North Carolina and specializes in customizing our service for your individual needs whether it is for business or pleasure. Charlotte NC's uptown, full service Florist and Flower Shop serving the entire Charlotte metro area since 1987. Forward Realty is one of the top performing Realty Companies in North and South Carolina, and help buyers and sellers make owning a home, reality. Four Seasons of Lake Norman has everything you need for outdoor and indoor entertainment. Pool Tables Hot Tubs Patio Furniture Dart Boards Poker Tables Pellet Stoves Etc. Located in the Baxter Village of Fort Mill, SC, Fratelli Ristorante and Pizzeria has become everyone favorite Italian restaurant for couples and families. Located at the Shops on the Green in Cornelius, NC. - a quaint little French Cafe and Tea Room that serves Breakfast, Lunch, Brunch and Afternoon Tea. Fresh Air Technologies is your Charlotte area mold removal, mold remediation and mold cleanup specialists. We promote and provide healthier indoor environments. Garage Doors & More is a garage door repair and installation company offering service for residential and business customers. GJK is a full service design-build remodeling company based in Charlotte with a core focus on completing your addition, renovation & general remodeling project the right way! Servicing the greater Charlotte area, GW Looby Landscaping specializes on all your yard work needs including mowing, edging, shrubbery maintenance, grass seeding, irrigation and drainage. Home of the unmatched Definitely Everything Plan! Pay a single bill for rent, electricity, water services, cable tv, high speed internet, washer/dryer set.. you get the idea. HANS KRUG brings perfection to all aspects of your kitchen design and meets your highest expectations. Experience the luxury and value of Fine European Cabinetry at our Design Center. For over fifteen years, Haston General Contractors have fulfilled the home improvement and remodeling needs of Charlotte, NC. Welcome to Home South, where we strive to provide you with affordable home furnishings and decor that exude southern style. Home South provides one-stop shopping for all of your home decor needs, from tableware to outdoor furniture. Hughes Kitchen and Bath Collection showroom in Huntersville, NC is your one stop shop when it comes to kitchen and bath stores. Bringing love and hope to all animals by ensuring the humane treatment of companion animals through adoption, spay/neuter and education. For over 20 years, I.C.London has offered a unique selection of fine lingerie, sleepwear and loungewear in the Charlotte Metro area. Looking for ways to reduce the cost of using your printer, copier, or fax machine in Charlotte? You’ve come to the right place. Innbo furniture offers the largest selection of scandinavian and contemporary designs in the Carolinas including recliners, sofas, sectionals, rugs, lighting, barstools, bedrooms, dining, home theater and home office. The success of Invisible Fence® Brand lies with our network of pet safety professionals who install our Pet Safety systems, train your pets and provide full support and service. Their committment is why we have a 98% customer satisfaction rating. ITEX is the Leading Professional Barter & Trade Organization throughout the Ballantyne, Charlotte, Lake Norman and Fort Mill Area. With the help of our highly skilled instructors, you will develop strong leadership and discipline skills that will help you in every aspect of your life. The Lake Norman Retreat, formerly operated as a Bed and Breakfast, is a beautiful rental home located in historic Sherrill’s Ford, North Carolina. Lake Pointe Family Dentistry in Charlotte offers dental exams, cleanings, whitening, veneers, Invisalign, fillings, crowns, bridges, partials, dentures, and pediatric care. Located in Mooresville, NC, Lavendar Boutique offers the latest designer apparel for women including the largest selection of designer denim in the area! In Charlotte, Leading Provider of Hair Replacement, Hair Restoration, Hair Loss Treatment, Hair Transplant & Extensions. At Lighthouse Outdoor Lighting of Charlotte, lighting is our specialty. Our outdoor lighting systems are more energy efficient, sharper and cleaner! Little Otter Swim School provides Charlotte families with an alternative to typical swim lessons. We provide swim lessons in Charlotte. Lundberg Specialty Services specializes in home repairs and solutions, from roofing and insurance claims, to windows, eves, on-going maintancence and more. Charlotte Massage Envy believes every body deserves a great customized therapeutic massage, so we've made relaxation convenient in Charlotte. Massage Heights in Charlotte makes high quality, rejuvenating massage an easy, convenient and affordable part of your healthy lifestyle. Our Physician Supervised Medical Weight loss program in Charlotte is insurance based weight loss, focused on long-term patient health, happiness and weightloss goals. Metro GreenScape is the first choice landscape design and outdoor living specialist for the Charlotte and surrounding areas' most prestigious and growing neighborhoods. Located in Dilworth, we carry an array of baby products from breastfeeding to cloth diapering to infant clothing to nursing bras and much much more! Family owned & operated since 1981, Minit Maids Cleaning Service has proudly been serving residential clients in the Charlotte Metro area longer than anyone else! Located in the University area of Charlotte, Mishella’s Salon offers haircuts, hair coloring. We are a full service salon serving Charlotte. Charlotte's on time electrician, Mister Sparky serves the entire Charlotte and surrounding areas 24 hours a day, seven days a week. Mister Spas offers a variety of Spas, Hot Tubs, Covers, Cover Lifts & accessories. We are your Charlotte area source for Hot Tubs, Spas, Chemicals, Repair, Parts & Service. It is a guaranteed good time at Monterrey Mexican Restaurant in University area of Charlotte. Charlotte music classes for infants, toddlers & preschoolers in Blakeney-Ballantyne. In addition, we entertain at birthday parties! More than just a kid's gym- My Gym is the leader in kid's fitness, innovative & safe facilities, & fantastic birthday parties. Check us out for fun Camps, Classes & Parties! New South Remodelers is one of the most highly regarded home improvement contractors in the Charlotte metropolitan area. Oasis Pools Plus Outdoor Living Showplace has been providing the Charlotte, NC area with outdoor, patio and casual furniture, swimming pools & spas for over 30 years! Classic & creative collide at our NODA hair salon, right outside of Uptown Charlotte, near center city. Using the most ingenious lighting techniques, we'll greatly enhance your outdoor environment and set your home apart. Oxy Magic Carpet Cleaning specializes in the cleaning of Carpet Cleaning, Upholstery, Tile & Grout, Area Rug, Wool Rug, Hardwood Floor Refinishing & Pet Oder Removal. Panda Kitchen and Bath offers quality, affordable kitchen and bath products, including granite, cabinets and appliances throughout the greater Charlotte area. Eat Pasta. Run Fasta. Visit Pasta & provisions in Myers Park, minutes from SouthPark for speciality wines, gift baskets, italian foods and much more! Pio Pio Restaurant Charlotte serves the finest authentic Peruvian, Columbian, Spanish & Latin American cuisine. Catering available throughout Charlotte. Q-2-U BBQ serves the best barbeque in Charlotte, NC and surrounding areas! We offer a complete menu of delicious bbq catering options as well! Quality Comfort specializes in the installation, repair, and maintenance of HVAC systems for any residential or commercial company in the Charlotte Area. Never Paint Again with the Rhino Shield coating system for your home or business. We've pioneered the development and installation of ceramic elastomeric wall coating technology to protect your home. S&S Building Supply is the premier supplier of frameless shower doors and glass products to both consumers and remodelers and are known as the Shower Door Super Store. Saber Concrete & Foundation Leveling Solutions provide cost effective solutions for settlement problems, cracked foundation, leaning chimney, bowing basement wall and more. Salud Beer Shop is an independent Craft Beer store located in the heart of the NODA. We have seven taps and over 500 bottles of beer to chose from. Shea Custom specializies in large home renovations and remodeling projects. Shea Custom can affordably create for your home a custom kitchen, bath renovation, outdoor living space or floor addition. ShelfGenie in Charlotte is your source for custom designed, built and installed Glide-Out shelving solutions for any existing cabinet in the home. Don't just visit resorts. Live at one. In Charlotte's happeningest (sure, that's a word) neighborhood, South End. Smoothie King in Blakeney Crossing, Crown Point, Concord & Gastonia offers delicious smoothies & weight loss supplements for healthy lifestyle needs! South End Furniture offers the very best in quality furniture at an unbeatable price. We specialize in Quality Mattress, Dining Sets, Bed Room Furniture and so much more. Located in Ft. Mill just South of Ballantyne, off 485 & Johnston Road, at Southern Spirits you can save up to 50% over other stores on your favorite wines, beers and liquors. Stabella delivers the single largest fabrication network in the world. All of the companies are stone fabrication shops referred to as Stone Systems. Sun Stoppers Window offers Automotive, Residential and Commercial Window Tint and Paint Protection for all your needs. Located near Ballantyne and Blakeney, Switchin' Kitchens provides prepared meals. We are the best independently-owned store for pre-assembled dinners. One of Uptown Charlotte, North Carolina's newest communities, The Apartments at Quarterside is located in the heart of First Ward. Manufactured in Charlotte, NC and offered directly to the customer, The Blind and Shutter Pros are your #1 source for Plantation Shutters, Blinds, Shades, Custom Closets, Garage & Storage Systems. The Blind Man is your one-stop source for any window treatments, including quality interior blinds, shutters and shades. We also offer full-service free in-home consultation and expert installation, as well as in-home sample selection. Welcome to the Daily in Charlotte! The Depot at Gibson Mill is the Largest Antique Mall in the South, over 88,000 square feet & 725 booths. Just 10 minutes North of The Charlotte Motor Speedway in Concord, NC. Serving the greater Charlotte marketplace, The Groutsmith specializes in grout and tile cleaning, repair, and restoration. We service residential and business customers. The Louver Shop manufactures interior window shutters in every style, color, and material available – all custom designed to fit your budget and décor. We have window treatments from aluminum shades to the highest quality wood blinds. The Marquis at Carmel Commons is in South Charlotte and convenient to Ballantyne, South Park, and the Piper Glen area. Near shopping, restaurants and local attractions. Lake area living at its best. Ask us about new programs like being totally paperless, nearly 1/2 smoke-free, and doggie DNA! The Marquis of Carmel Valley, offers breath taking wooded views. Situated between Southpark and Ballantyne, our apartment community is convenient to metro Charlotte. The Plantation Shutter Company offers Interior and Exterior Shutters with smart, sophisticated design. The Plantation Shutter Company is your best source for top quality, custom window treatments offerings. Serving the greater Charlotte marketplace, The ResurfaceSmith specializes in resurfacing bathtubs, tile and countertops. We service residential and business customers. Situated in the Gold Hill area of Fort Mill, the Roasting Oven is a Latin American Restaurant in Fort Mill. Offering catering and convenient to Charlotte. The Southern Nest is a unique southern shop full of gifts, home decor and furniture. If you are a fan of HGTV's Fixer Upper, we also carry many items seen on the show. Situated in the Uptown Charlotte financial district of North Carolina’s most exciting city. Our Charlotte hotel is the heart of Uptown. Trio is located in Pineville, convenient to metro Charlotte, Ballantyne and SouthPark offering catering and a unique dining experience. The USNWC is one of the best things to do in Charlotte with whitewater rafting, a canopy tour, kayaking, rock climbing, zip-lines, ropes courses and mountain biking. Located in the Furniture Capital of the World, Hickory, NC., Unique Oriental Rugs & More by David is your source for Oriental Rugs from all around the world. Urban Building Group is a full-service, design/build remodeling firm based in Charlotte, NC. We specialize in all areas of home remodeling and renovations from outdoor kitchens and living areas to indoor baths, kitchens and additions. Located Uptown, Wesley Village is a new Charlotte apartment community. Our custom vacation log homes in western North Carolina are an escape into nature and a retreat into vacation luxury. Hike, bike or raft the day away in Great Smoky Mountains. Wilson's Natural Landscaping offers residential landscape design, build and installation services, natural stone work, drainage systems, monthly plant service and garden management, as well as, the installation of large trees & evergreens. Since 1996, Window & Door Pros has provided Charlotte homes with beautiful, high quality, energy efficient, maintenance-free, replacement windows and doors. Window Genie of Charlotte, Concord and Lake Norman is your home improvement specialist when you're looking for window cleaning, tinting, pressure washing and gutter cleaning. The Workman's Friend. Intimate gastropub with craft beer, elevated bar fare & specialty cocktails, plus outdoor space. WSI provides internet marketing solutions, including Website Design and Development, Search Engine Optimization (SEO), Social Media, Email Marketing and consulting. With more than 30 years of experience, Edgewater Pools is the premier locally owned pool construction and building contractor in Charlotte, North Carolina, South Carolina. Stone Systems fabricates and distributes the best products and designs for kitchen countertops, bathrooms, flooring and more.